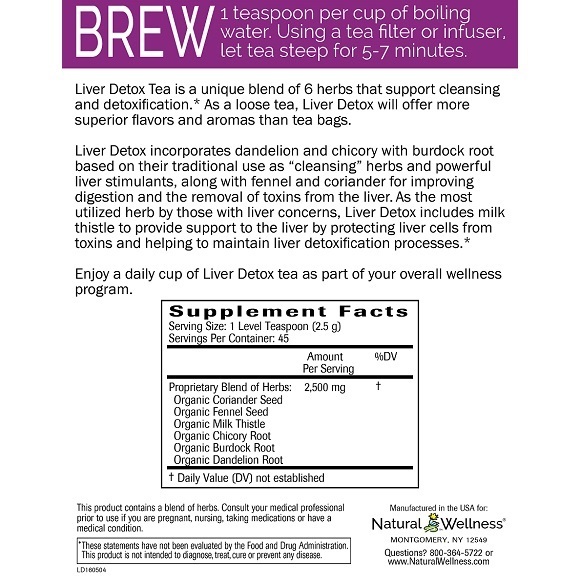 Liver Detox Tea is a unique blend of 6 herbs that support cleansing and detoxification. * As a loose tea, Liver Detox will offer more superior flavors and aromas than tea bags. 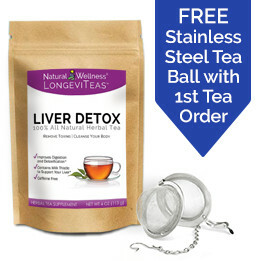 Enjoy a daily cup of Liver Detox tea as part of your overall wellness program. 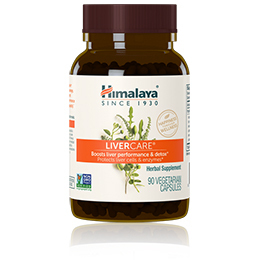 Coriander contains essential oils that support liver detoxification. Fennel - Besides its wonderful flavor reminiscent of licorice, fennel supports digestion which helps the body eliminate toxins. 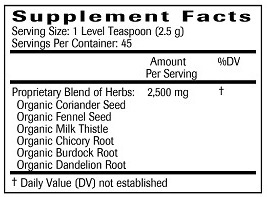 Milk Thistle is the most popular herb used for liver support and protection. Chicory is a powerful liver stimulant used to protect the liver. 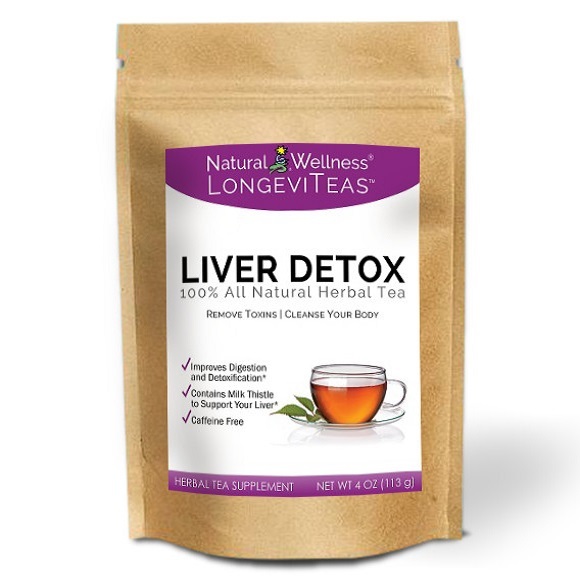 Burdock and dandelion have both been traditionally used as "cleansing" herbs which help support liver, gallbladder and kidney elimination processes. I love the hint of licorice flavor with each sip! It has a nice taste, but I thought it would be larger. Brew 1 teaspoon per cup of boiling water. Using a tea filter or infuser, let tea steep for 5-7 minutes. 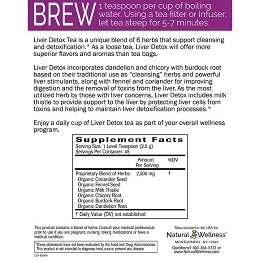 This product contains a blend of herbs. Consult your medical professional prior to use if you are pregnant, nursing, taking medications or have a medical condition. Milk thistle may reduce the effectiveness of oral contraceptives, therefore backup birth control methods should be used while taking a milk thistle supplement. LongeviTeas™ - Liver Detox Tea is MANUFACTURED in the USA to meet FDA strict current Good Manufacturing Practice regulations (cGMP). Each ingredient is tested before production begins and the finished product is tested upon completion to ensure what is stated on your product label matches what's in each and every package.